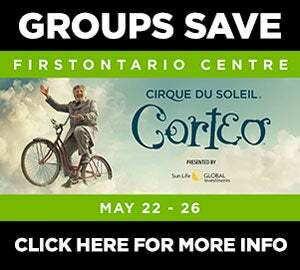 GROUPS OF 12 OR MORE SAVE UP TO $19 OFF TICKETS! Their game at the FirstOntario Centre will showcase incredible ball handling wizardry, rim-rattling dunks, trick shots, hilarious comedy and unequaled fan interaction. P2: $84.25 - $19 savings! P3: $74.25 - $16 savings! P4: $64.25 - $15 savings! P5: $49.25 - $10 savings! P6: $37.25 - $7 savings! P7: $27.25 - $4 savings! 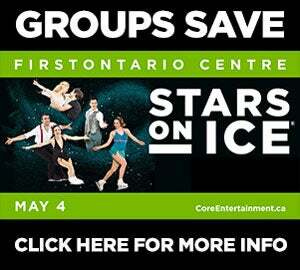 FOR MORE INFORMATION AND TO BOOK YOUR GROUP, EMAIL HERE OR CALL 905-546-2391! *Processing fee applies to all group orders. Group rates end on April 3rd at 4pm.